There are more than 350 kinds of Chinese opera, of which Peking opera is the most famous internationally. It has been argued that Chinese opera should be called ‘xiqu‘ (戲曲 literally, theatre and music), because it concentrates not only on music but also involves recitation, acting, movement, dance, and martial arts; all these elements combine together to bring out the story. As the most representative Chinese opera genre in Guangdong province , Cantonese opera has been popular since the late 19th century. However, facing keen competition on the one hand from other art forms and entertainment such as movies, theatre, and popular songs, while on the other suffering from the fact that the younger generation lacks both knowledge and interest, its appeal has undergone a steady decline over the years. In 2009, Cantonese opera (also known as Yueju 粵劇) was listed as an Intangible Cultural Heritage of Humanity by UNESCO. Since then, the Hong Kong government has committed itself to the promotion of the genre through different channels. Following the return of Hong Kong’s sovereignty to China in 1997, the Education Bureau initiated holistic-based curriculum reform changes for formal school education from Primary 1 to Senior Secondary levels. More recently, a new public examination for secondary school graduates, the Hong Kong Diploma of Secondary Education (HKDSE), was introduced in 2012. In the Music Curriculum Guide, the teaching of Chinese music is encouraged in schools through Cantonese opera. In the Music Examination of the HKDSE Cantonese, opera has also been included as a compulsory element in the listening paper. However, while the inclusion of Cantonese opera in the formal curriculum can be regarded as a welcome, top-down measure to promote greater interest in the genre, most Hong Kong music teachers have been trained in the Western music tradition and lack specific training in its delivery. Some of them are reluctant to teach Cantonese opera, believing that their students will not like such an ‘outdated’ and ‘old-fashioned’ type of music that only appeals to elderly people. As a result, tuition of the genre appears on the curriculum of just a few schools. Music teacher education is a key issue in overcoming such difficulties. The Education Bureau expects the teacher training institutions within Hong Kong to nurture future music teachers who have received specific training in Cantonese opera. Furthermore, special projects have been sponsored precisely with such aims in mind. For instance, the author was awarded a grant of 2.6 million Hong Kong dollars to implement a collaborative project that incorporated professional Cantonese opera artists into formal school music classes. The outcomes of this project included a mutual understanding and the professional development of both artists and music teachers. While the artists succeeded in learning about how to support music teachers and communicate with classes of students, the music teachers developed their own interest in and enthusiasm for the genre. They also acquired a motivation for learning about the music, appreciating its value for their future professional development. Furthermore, it was shown that even primary students could develop an interest in learning such an ‘old-fashioned’ art form; as ‘blank slates’, they approached the genre without any discernible bias. Indeed, some of them, according to the interviews that were conducted, were fascinated with the make-up, costumes and music. In cultivating future audiences, compulsory school education is the most critical aspect since all students are required to attend music classes for a period of nine years. Traditionally, cultivating professional Cantonese opera artists relied on the apprenticeship system. Learning to master the art form required starting at an early age, typically 8 to 10. Not many parents were keen for their children to learn the genre because it was a very agonising process: in addition to abandoning formal education, the child had to go through toilsome and lengthy exercises every day. However, as the Hong Kong economy started to develop in the early 1950s, poor families revived the practice due to certain perceived advantages: 1) parents were not required to pay school fees; 2) the Cantonese opera master was responsible for all the child’s expenses, including shelter, food, and clothes, and; 3) if the child learned well, he / she might become a famous artist who could bring wealth and prestige to the parents. 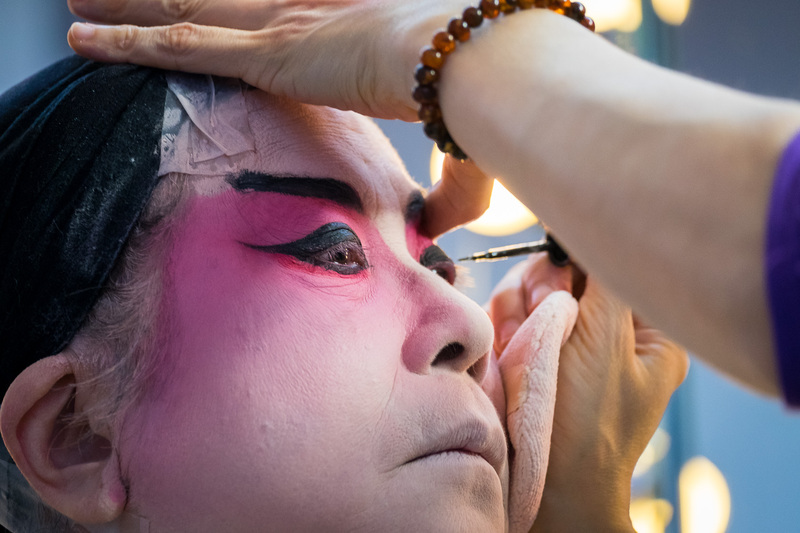 Since the 1980s, Cantonese opera as an art form has seen its popularity wane as younger generations pursue other kinds of artistic ‘development’ such as becoming movie stars or popular singers. This, in conjunction with free school education and government-sponsored higher education, has led to the phasing out of the traditional apprenticeship model in Hong Kong. 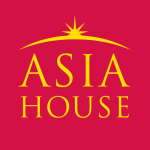 In order to overcome the difficulties of cultivating new generations of professional artists, the Hong Kong Academy for Performing Arts (HKAPA), supported by the Hong Kong government, introduced a four-year Bachelor of Fine Arts programme in 2013, thereby changing the ecology of transmission from an oral to a Conservatory tradition. There is a traditional proverb in the field of Chinese opera: ‘It takes three years to nurture a first-rank candidate in the ancient Chinese Imperial Examinations, but it takes at least ten years to cultivate a principal artist’. This reflects not only the fact that developing an artist takes a lengthy period of time, but also that many other factors, including personal charisma, a determination to learn, good teachers, an appropriate learning methodology, ample opportunities to immerse oneself in professional performances, and communication with experienced artists, are required. The creation of well-received Cantonese opera artists does not happen by chance. An art form that is also a ‘cultural heritage’ item runs the risk of being perceived as one that is facing a sustainability crisis. To maintain the development of Cantonese opera, nurturing quality audiences and cultivating good artists are both critical. Nurturing an audience starts with compulsory school education, where Cantonese opera is well taught. Teacher education programmes are another crucial link; research on efficient learning and teaching is therefore a ‘must’ in terms of enhancing the whole educational process. At the same time, cultivating artists of traditional art forms is challenging because this relies on lengthy and in-depth interaction between a master and an apprentice, as opposed to formal education in a university context. The injection of informal learning elements into the formal curriculum is one approach that can be adopted, along with internships that utilise teachers as professional practitioners. Through such methods, students may learn by doing, while simultaneously gaining sufficient performing experience. Perhaps in this way, Cantonese opera may be able to maintain its relevance into the 21st Century and beyond. Professor Leung Bo-Wah is currently Professor and Head of the Department of Cultural and Creative Arts, and Associate Dean (Quality Assurance & Enhancement) of the Faculty of Liberal Arts & Social Sciences at The Education University of Hong Kong. He is award winning professor of music for his research in incorporating Cantonese opera into the formal music curriculum. Image Credit: CC by Michelle Lee/Flickr.